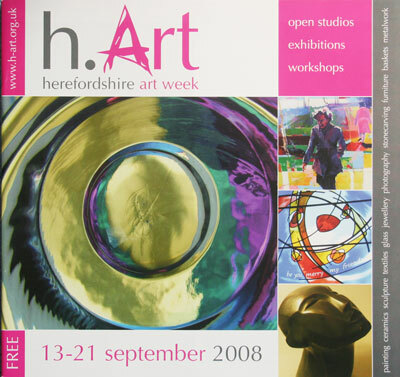 Now in its 7th year, h.Art is Herefordshire’s Open Studios event which gives you exclusive access to artists’ studios, workshops and exhibitions. With 128 venues open to visit and several hundred artists at work you will be spoiled for choice. The full colour brochure which splits the county into 5 routes is available here. 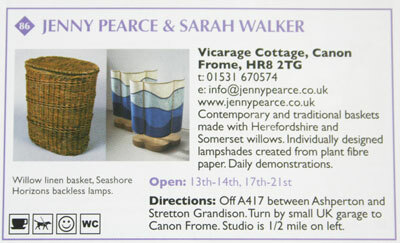 This year I will be sharing a studio with basket maker Jenny Pearce in Canon Frome near Ledbury (studio number 86 on the East Route), so do come and say hello if you are in the area and take advantage of the rare opportunity to see me making! 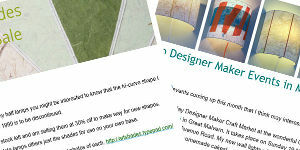 I shall give you a sneak preview of some of the work I will be displaying over the next week.